This 5.8 cu. 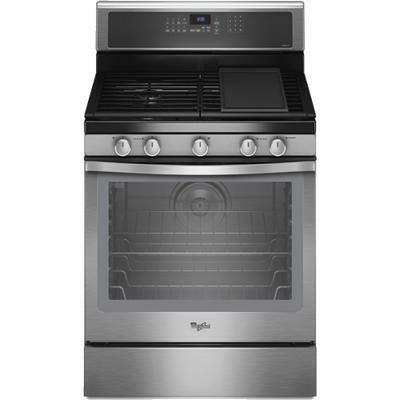 ft. capacity gas range lets you create delicious family meals. The Rapid Preheat option on this range saves time when single-rack baking with 25% faster preheating. Most energy-efficient self-cleaning cycle available offers quick, easy and odor-free oven cleaning with AquaLift™ self-clean technology. 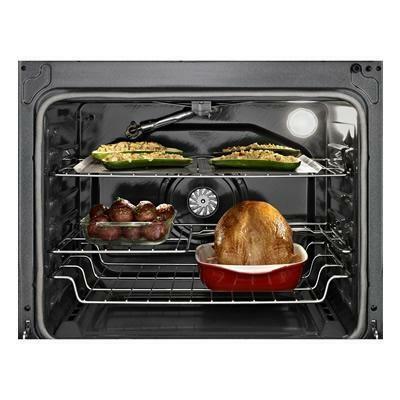 The TimeSavor™ convection cooking system on this range uses a fan in the back of the oven to distribute hot air more efficiently to seal in flavor and juices. This range also features Convection Conversion, which automatically converts standard temperatures to the convection equivalent. The 5,000 BTU AccuSimmer® burner delivers precise temperature control that is perfect for melting chocolate or simmering sauces. The AccuBake® temperature management system delivers uniform baking results every time. 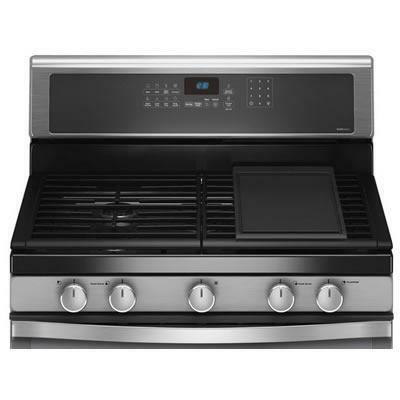 A built-in sensor monitors oven temperature and controls the cooking elements.